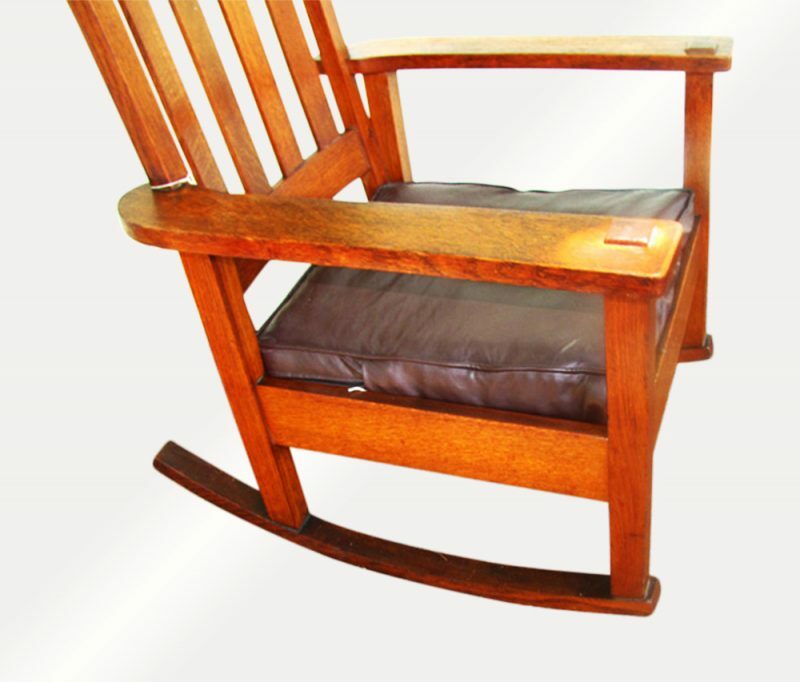 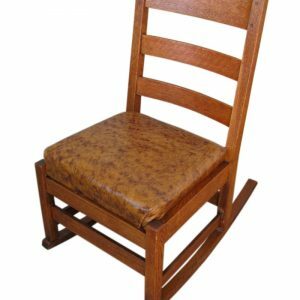 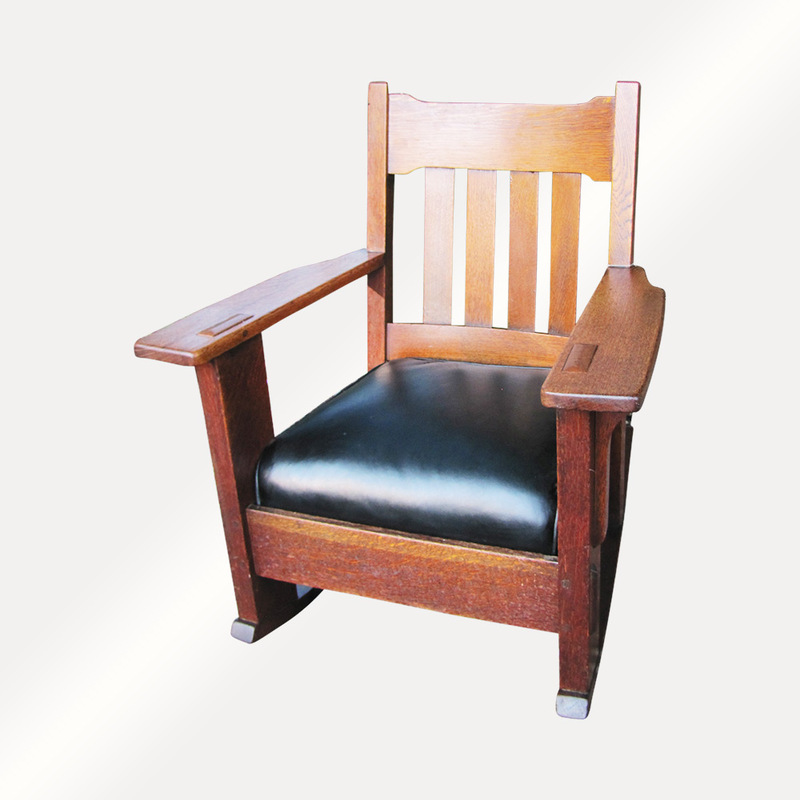 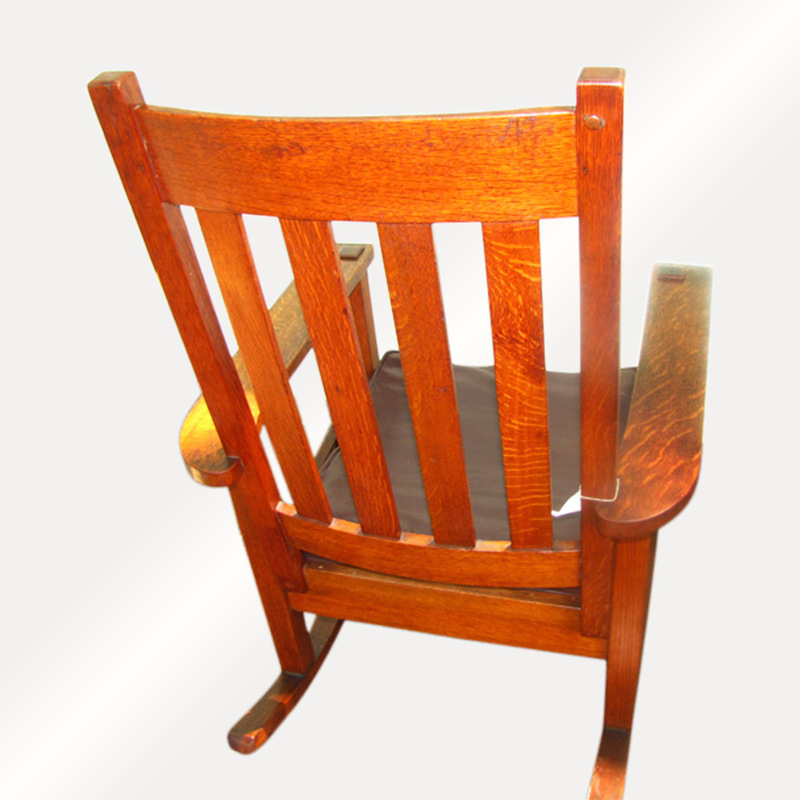 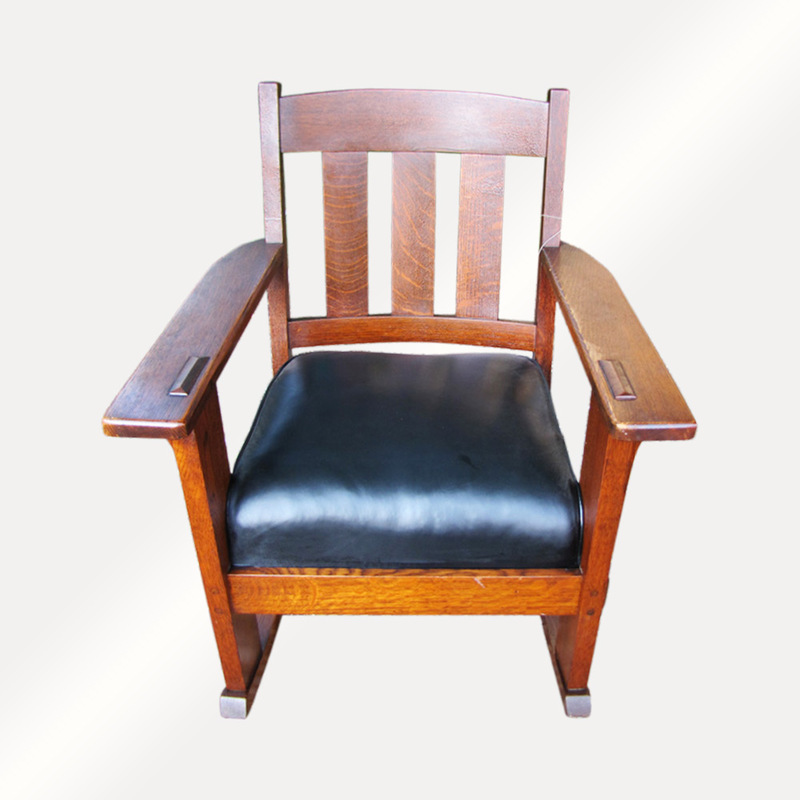 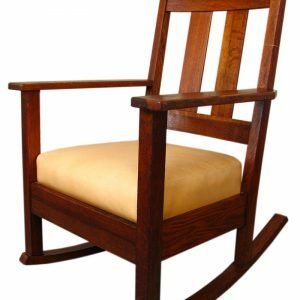 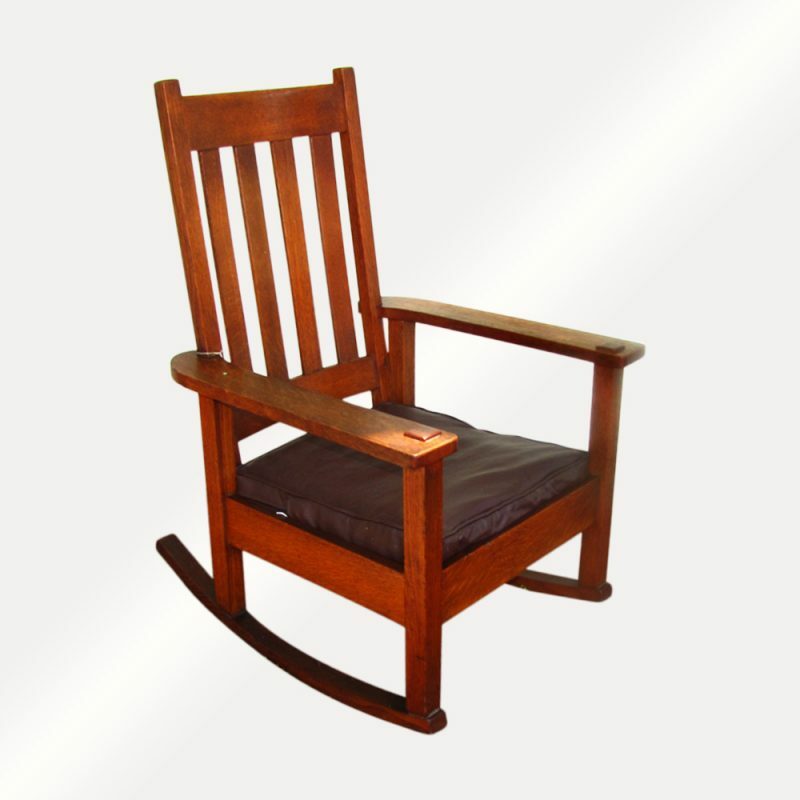 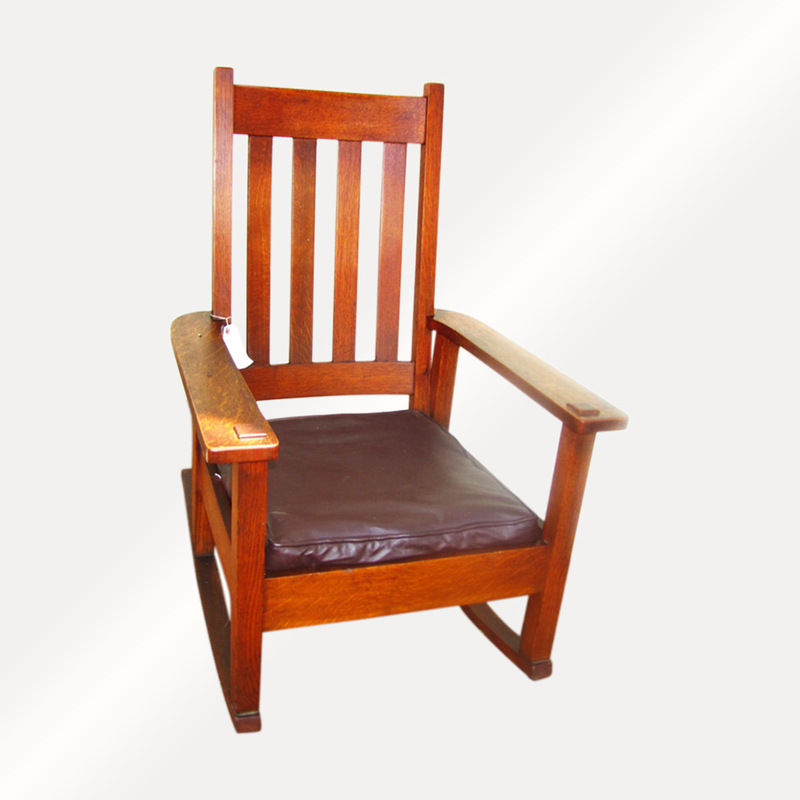 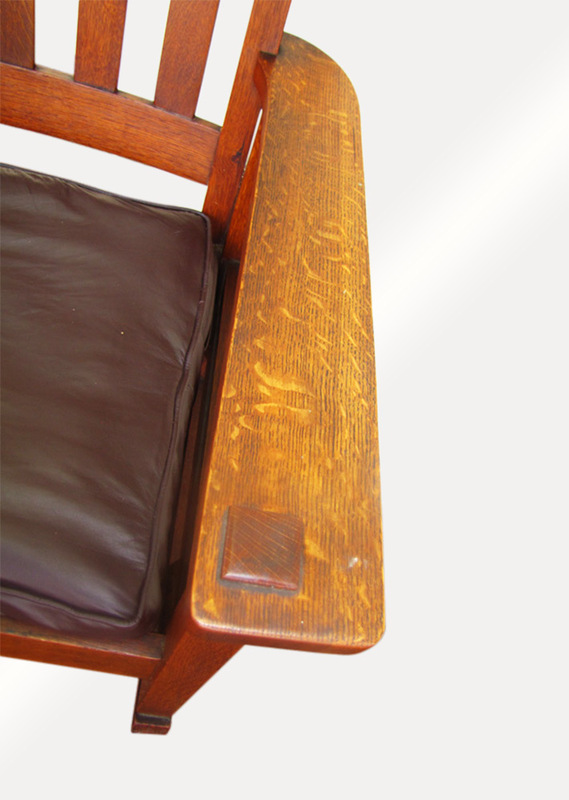 This is an Antique Stickley Brothers High Back Arm Rocking Chair from the early 1900’s. 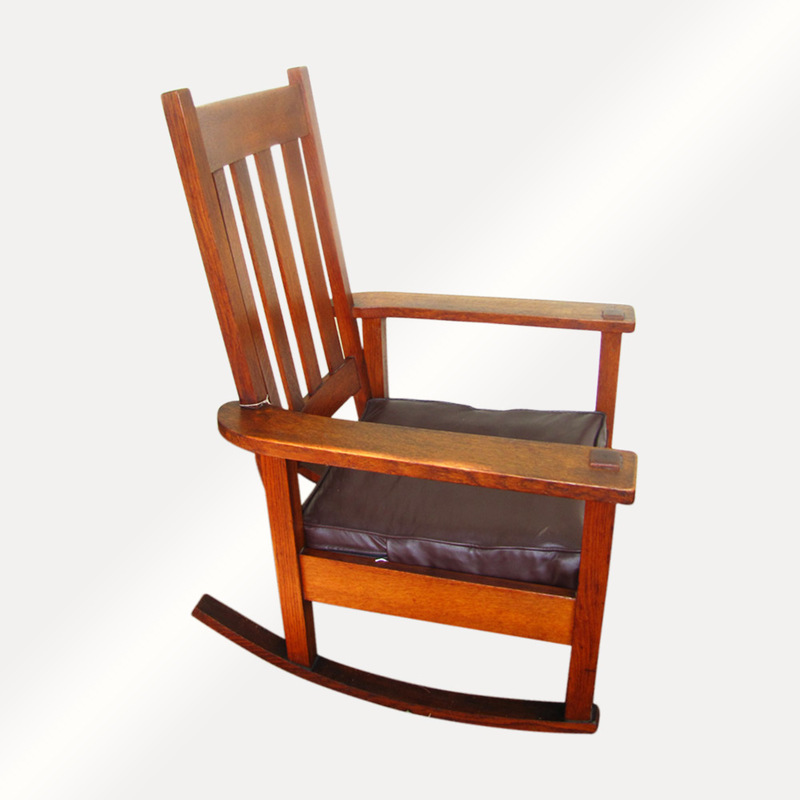 This is a great looking rocking chair that is in very good condition. 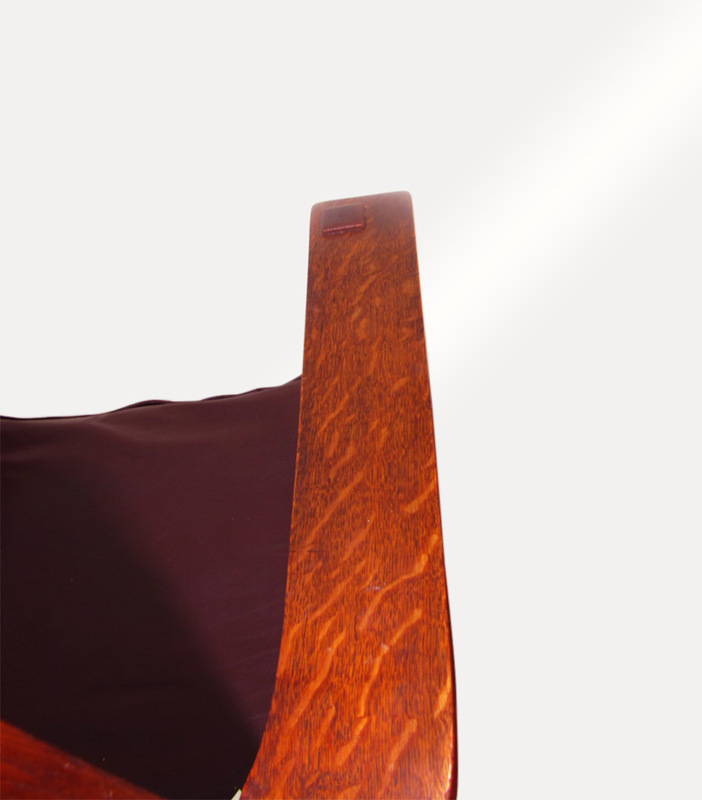 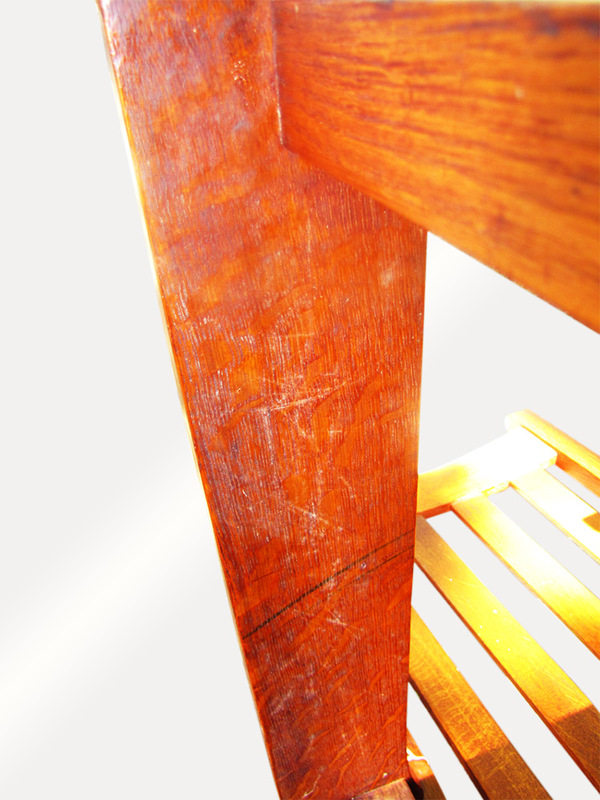 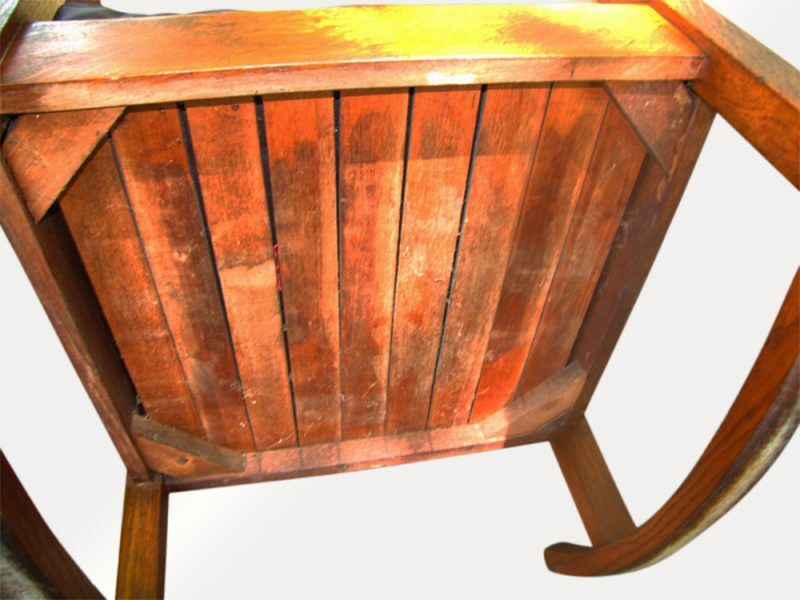 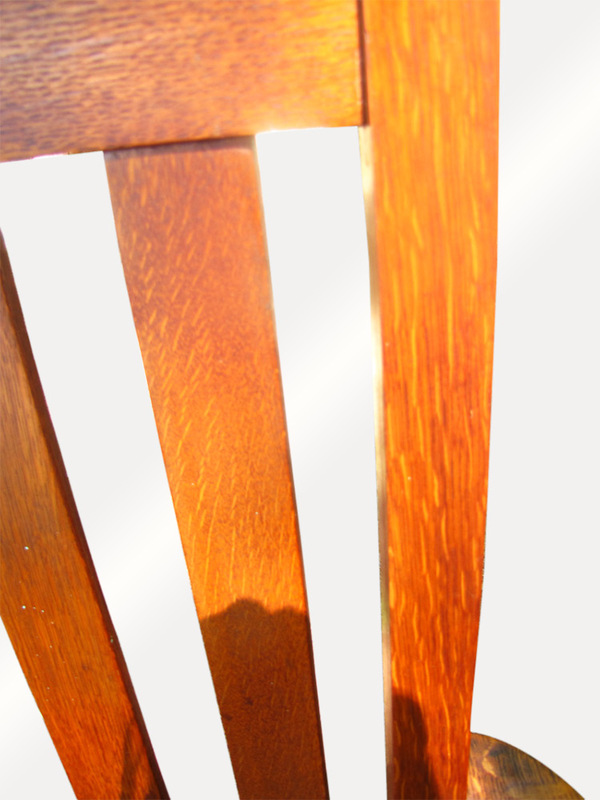 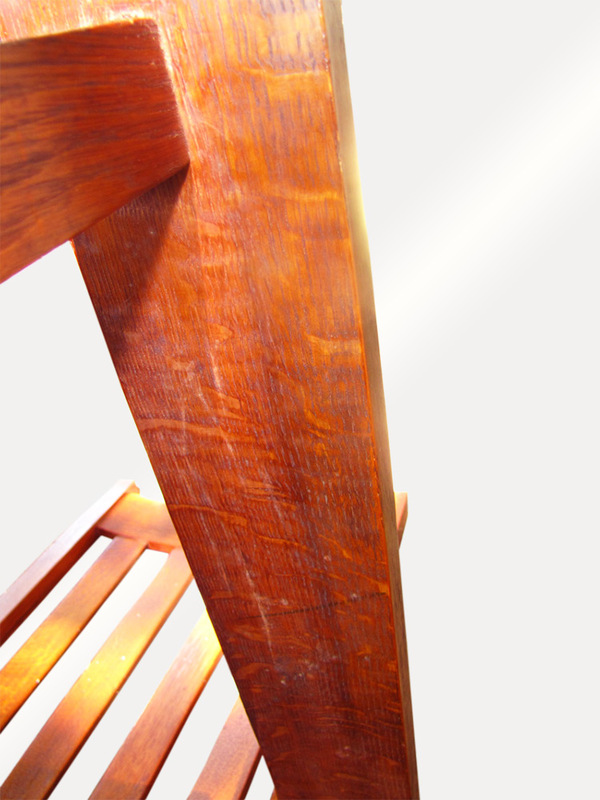 The chair has the original finish with a great color. 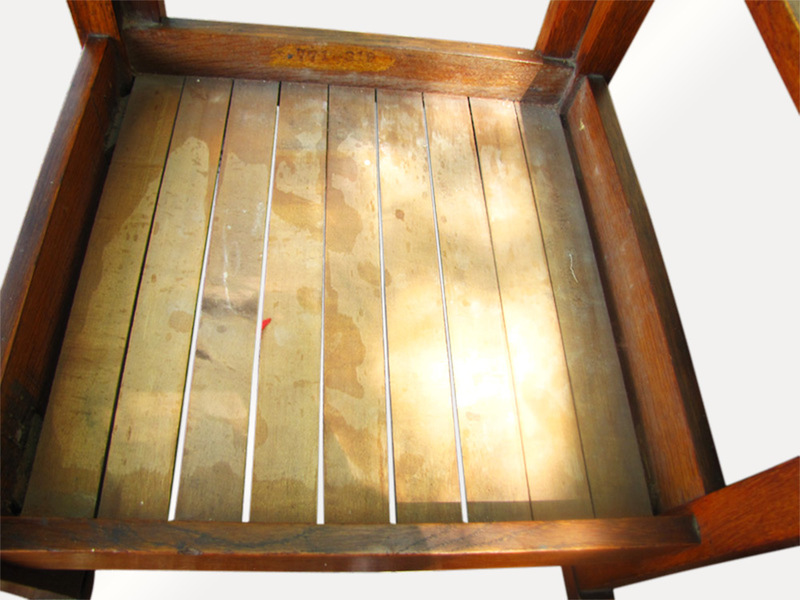 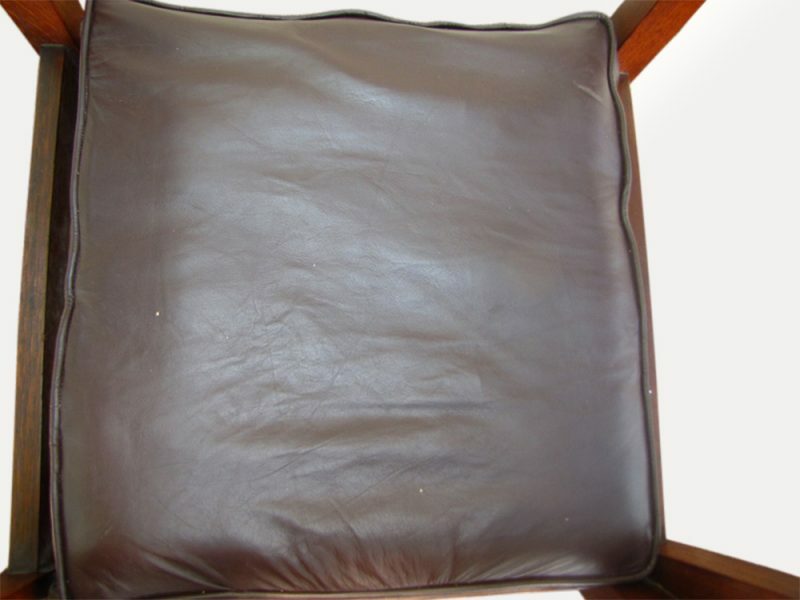 The seat was recovered with a good brown leather. 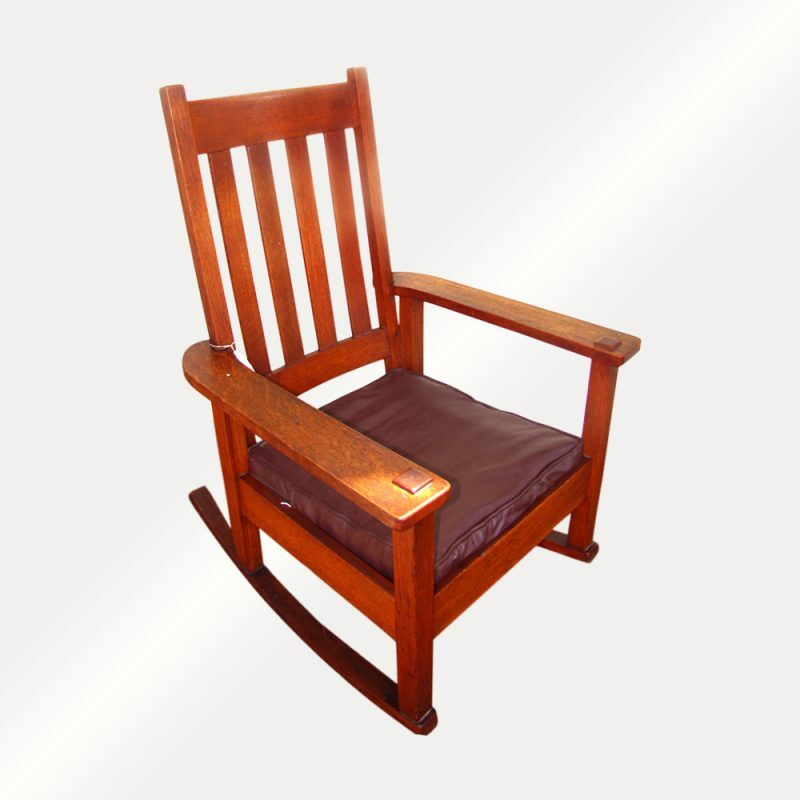 This chair is sturdy and strong and ready to be used in your home or business. 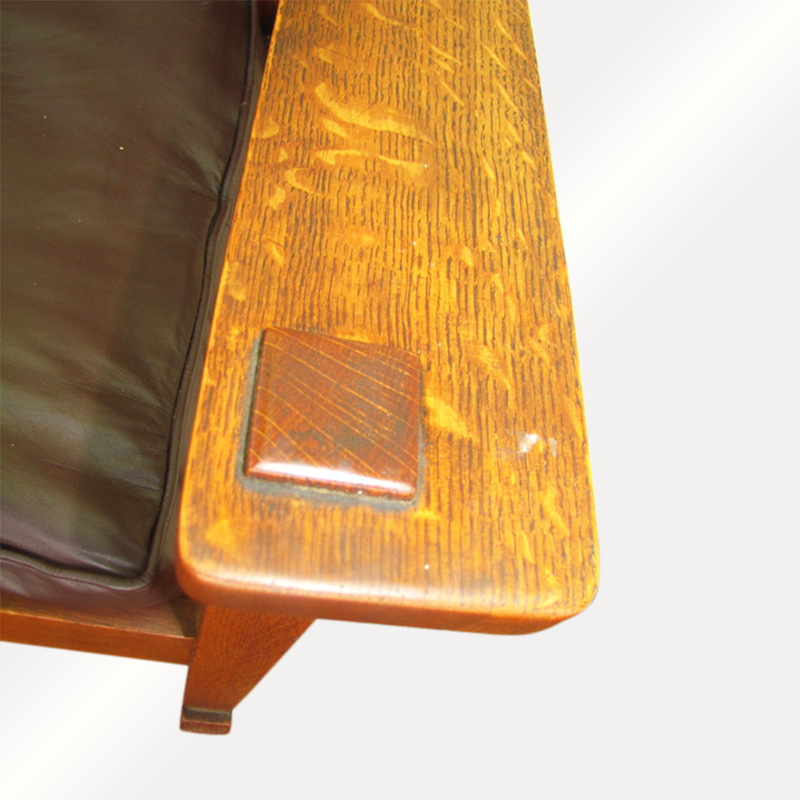 Also, we will give a discount if you buy multiple pieces of furniture at a time.